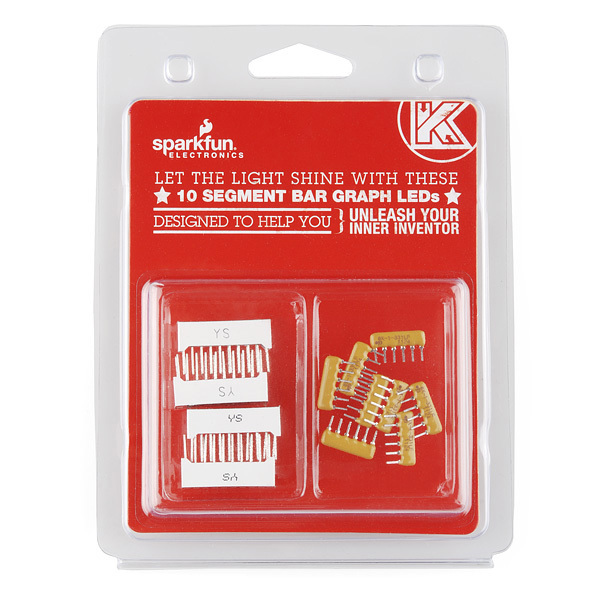 This retail package includes 4 different colors of our 10 segment bar graph LEDs and the resistors you need to get them hooked up. 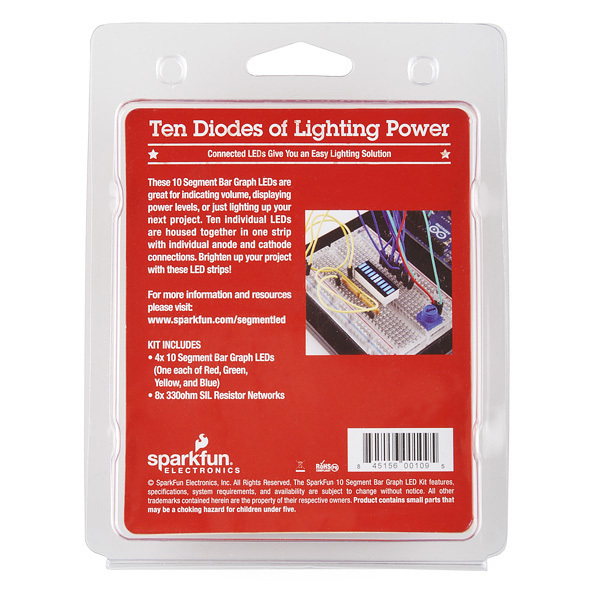 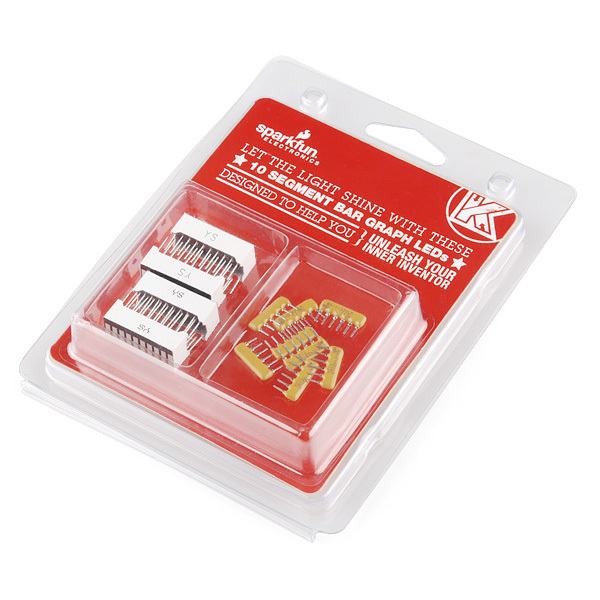 With a compact footprint, simple hookup, and blinky goodness, they are great for prototyping or finished products. 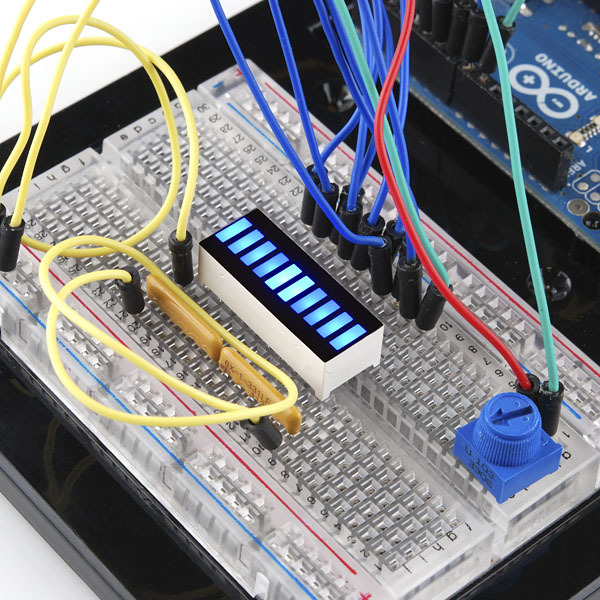 Bar graph LEDs make good indicators for things like light or sound levels, they're also just a convenient way to add a bunch of LEDs to your project at once!